We’re purely a copywriting agency and found it difficult to make our brand visible on Google and Bing even though we have a great track record of projects. Search Berg helped us improve our organic search ranking progressively since the past three months. We now rank in the first page of Google and Bing searches for copywriting agencies in Maryland and are getting more qualified leads as a result of their efforts. Thanks and will recommend. We hired Search Berg to improve our search rankings in Florida to get more people to visit our website when they look for emergency locksmiths. They helped us improve our existing content for SEO and provided some great ideas for blogging that improved the visibility of our pages. As of today we are on the first page of Google and are getting a steady stream of visitors, and have a high conversion rate of over 30%! Thanks a bunch guys! We’ve greatly benefited by improving on-page SEO and are now relishing our investment in PPC campaigns and social media SEO. The best part is that their audit reports are self explanatory and can be shared with our management to make important and the right decisions. Social media SEO and campaigns are very difficult to implement and measure but Search Berg did just that with flawless execution. I highly recommend their services! Search berg was great to work with. Very responsive on email and we spoke on the phone on numerous occasions to clarify the project and get to the end result I had hoped for…Great job! I was rather amazed at what I learned from these guys. All the little details that one takes for granted are actually important. 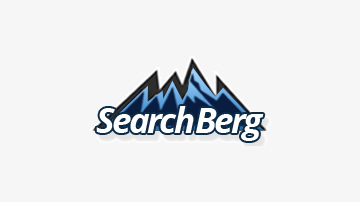 Search Berg are a good SEO company. They look at the whole ecosystem and provide a good service. I would use them again. Search berg is a professional in their field. Very responsive to questions and feedback in a timely manner. Adhered to schedule and budget as quoted. Delivered a polished final product which I can implement. I will use Search berg again and I highly recommend them for the research and investigation services they provided me on SEO and keywords for my website. I can highly recommend this company. I constantly delayed them with information required from myself. That did not once complain and still achieved a positive result for me. I am going to be redeveloping my website to address SEO issues with my current site and will be definitely employing Serch Berg as a consultant to work on my behalf in the design stages, then ongoing for the SEO work. Keeping up with other businesses is getting challenging day by day. One of the determinants of success is digital presence. I had always wanted my business to have a sound digital presence since the hype about SEO and digital marketing. But I could hardly do it all by myself. It required expertise in a totally different front. So I approached this company with ideas that I thought would be best for my business. You know what was best about these guys, they LISTENED to every idea that I brought to the table. They provided feedback for improvement or corrections, and how they can take it to the next level for my company. They impressed me with their enthusiasm and professionalism. The experience was genuinely exceptional; they were not imposing with their idea or belittling the plans I put forward. They were working towards one goal that was to improve my digital presence. They gave me timely updates and made sure that I was involved in the decision making as much as possible. I have always been involved in every decision that has ever been made for my business and I am happy to say that I was actively involved in this one too.